The charming crossroads community of St. Regis is a road-trip must-stop. 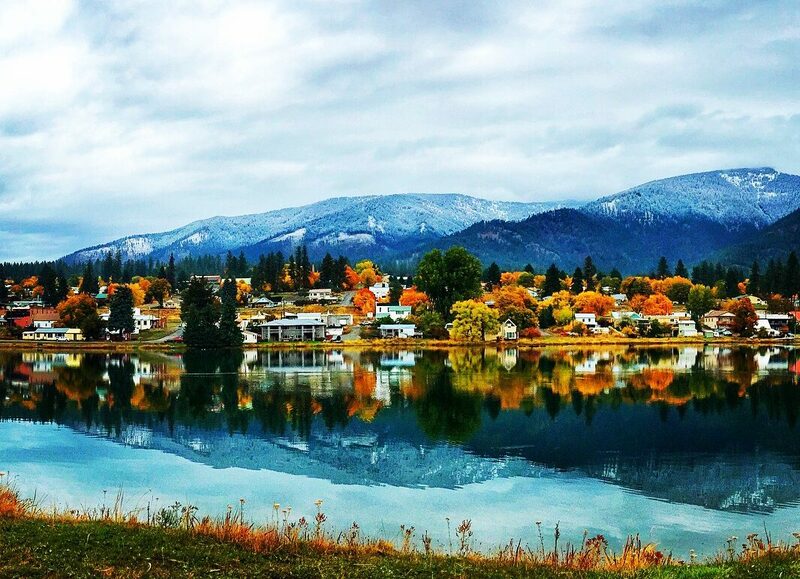 Travelers on the Interstate Highway 90 corridor between Missoula, Montana and Coeur d’Alene, Idaho never miss the chance to pull over and stretch their legs in this treasured town nestled at the confluence of the Bitterroot, Coeur d’Alene and Cabinet Mountain ranges. 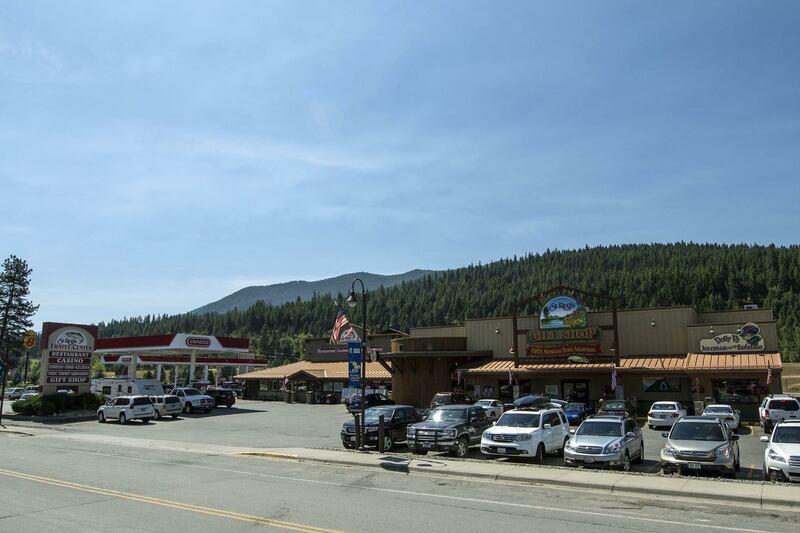 The family-owned St. Regis Travel Center is known far and wide as a place to stop and stay a little while. It’s more than just a convenient spot to fill your gas tank. 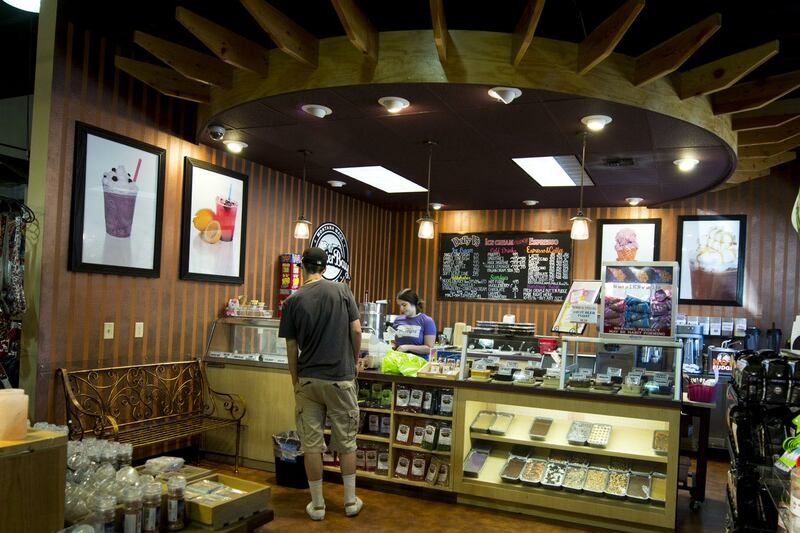 Fuel up on great food and famous huckleberry milkshakes at Huck’s Grill, plus Dolly V’s ice cream, fudge and espresso. There’s a live trout aquarium, too and Montana’s largest gift shop, where you’ll find souvenirs in abundance and free popcorn to boot. 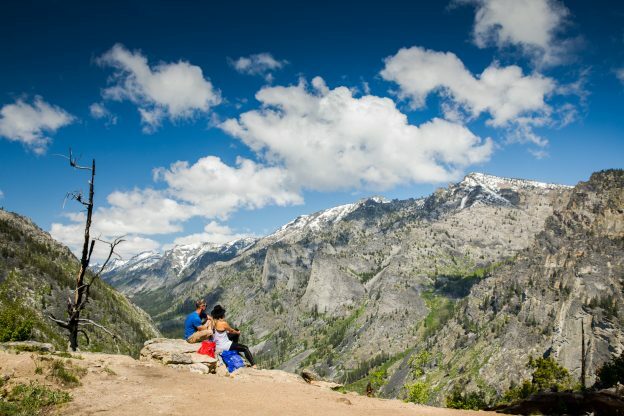 Head off the interstate and onto the St. Regis-Paradise Scenic Byway—state Route 135—winding 22 miles through gorgeous national forest land including rolling flats and steep canyon walls. 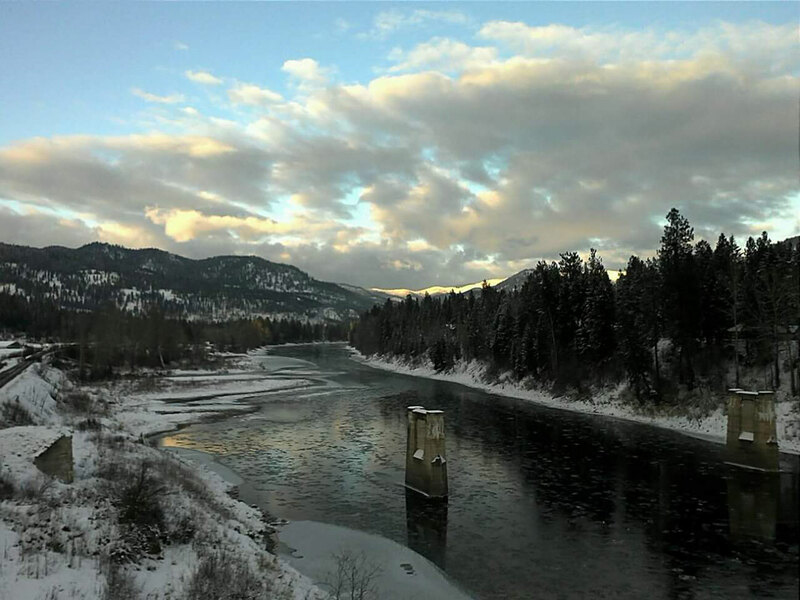 This route is part of the Clark Fork Scenic Drive through the Coeur d’Alene Mountains, beginning in Alberton and hooking up with Montana’s Tour 200 scenic route. Stop along the way for fishing, hiking, camping and wildlife viewing, or a soak in the healing mineral waters of Quinn’s Hot Springs Resort. Recreation abounds in the St. Regis area. In addition to St. Regis Community Park’s half-mile interpretive nature trail, playground and pond—perfect for a pit stop picnic—authentic outdoor adventure is all around. Fly-fish the Clark Fork River, ski Lookout Pass (about 30 minutes west of St. Regis) and discover plenty of places to hike and bike in Lolo National Forest. The Route of the Hiawatha provides pedaling fun the whole family will enjoy. 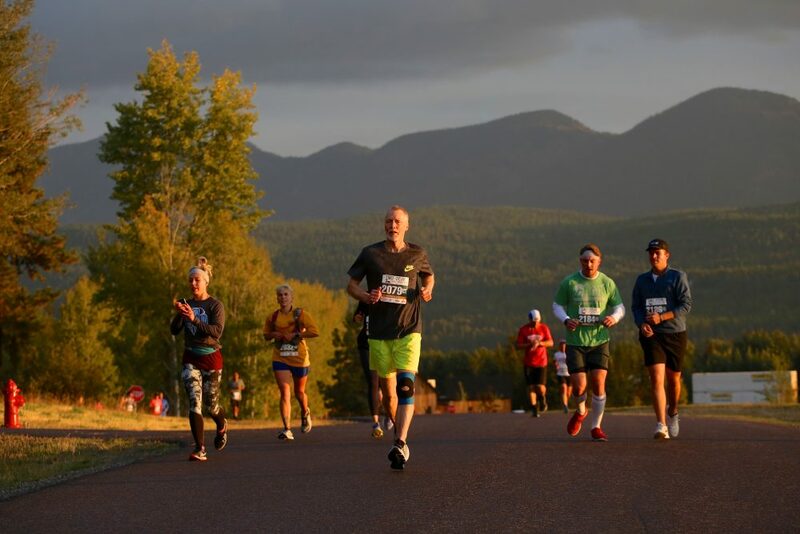 This 15-mile Rails-to-Trails adventure, not far from St. Regis, traverses 10 tunnels and seven high trestles along breathtaking stretches of scenic Montana landscapes, and a shuttle is offered for those who prefer to skip the up-hill trek. 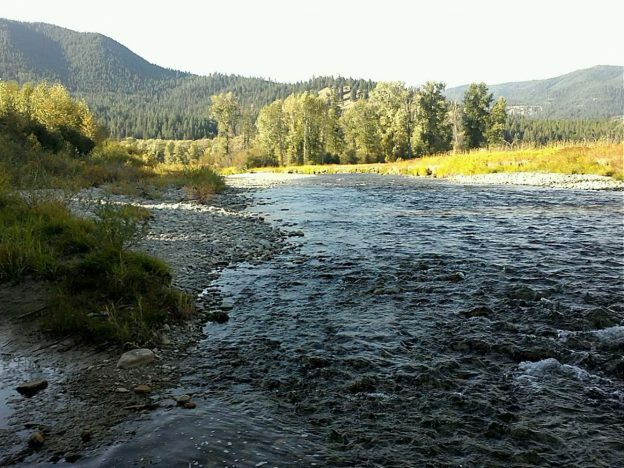 Mountain bikers can find 18 miles of epic single-track on one of the best trails in all of Glacier Country—the Clark Fork River Trail (also a great hiking spot—try the Cascade Falls spur trail). This smooth ride follows the river through pristine, lush forestland, and the trailhead is not far from Quinn’s. 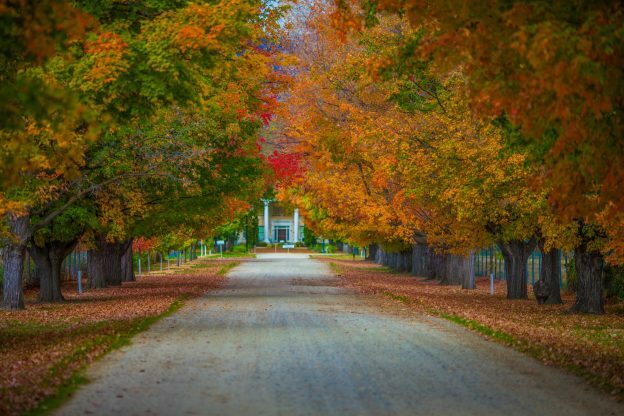 Head for the hills and a little history on the Crystal Lake Trail. This 3.8-mile uphill hike can be moderate to difficult at times, but worth experiencing the sparkling Crystal Lake 1.5 miles from the trailhead. Stop along the way for berry picking, fishing and viewing the remnants of a historic abandoned mining town and Deer Creek Mining Company, including the ruins of several cabins and a sunken mine shaft. Swing your golf clubs against the backdrop of the Bitterroot Range at the beautiful, family-friendly Trestle Creek Golf Course. Tee times are usually available on short notice and golf clubs can be rented on-site—perfect when you feel like a spontaneous stop for some time on the green. St. Regis hosts the largest flea market in Montana every Memorial Day weekend at Community Park. For three days from dawn to dusk, vendors peddle their wares. 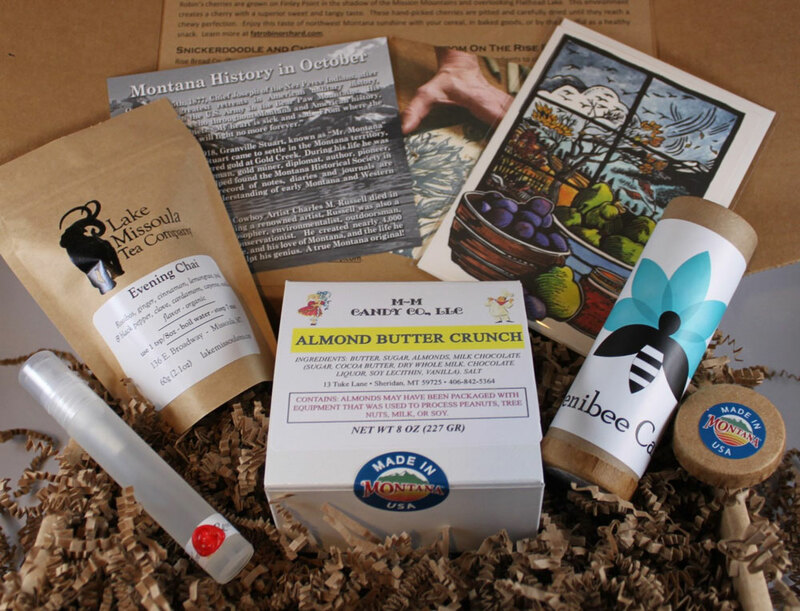 Find a true Montana treasure to take home with you, plus breakfast, lunch and snacks. 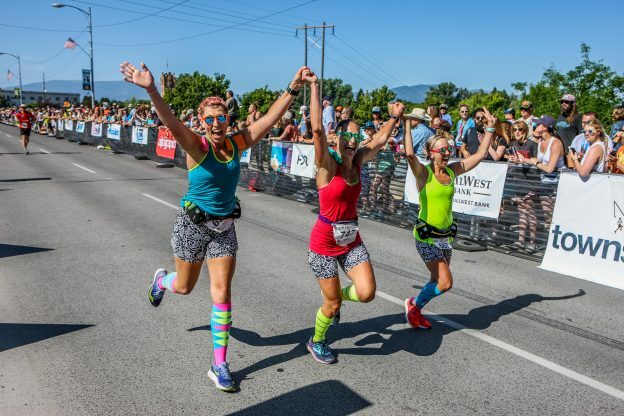 This tightly knit community charms with events like an annual Easter egg hunt, scarecrow contest, Christmas lighting, Trail Rail Run, Fourth of July parade and fireworks. Come on over and see St. Regis for yourself. 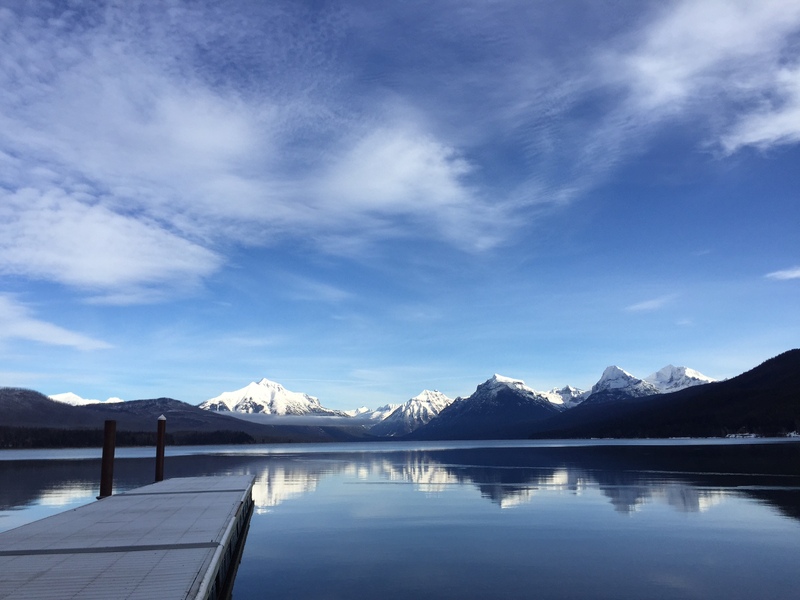 This entry was posted in Family Fun, Montana, Montana Fun, Outdoor Fun, St. Regis, Things To Do, Uncategorized on November 12, 2018 by glaciermt. You may have already figured out that we’re pretty good at divulging our own secrets. That’s because we have so much good Glacier getaway intel to share. 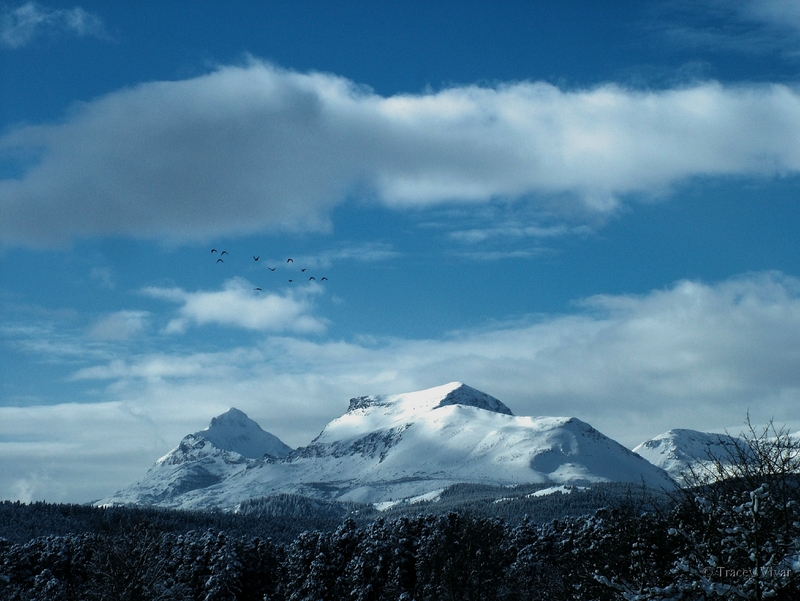 For instance, spring is one of the best times to explore Big Sky Country by bike. As the temperatures begin to warm in Western Montana, snow enthusiasts head home, making spring one of our quietest—and most serene—seasons. 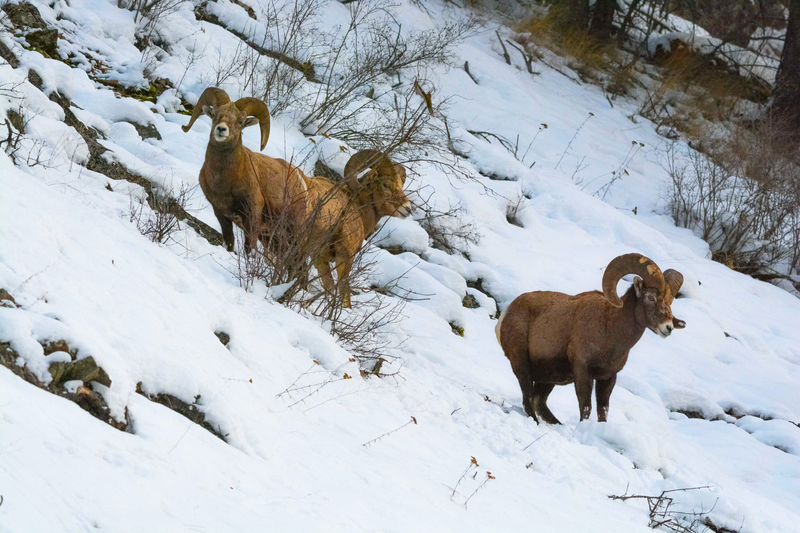 Experience wildflowers, emerging wildlife, rushing rivers and the always welcome shoulder-season pricing (which pairs well with our warm western hospitality). 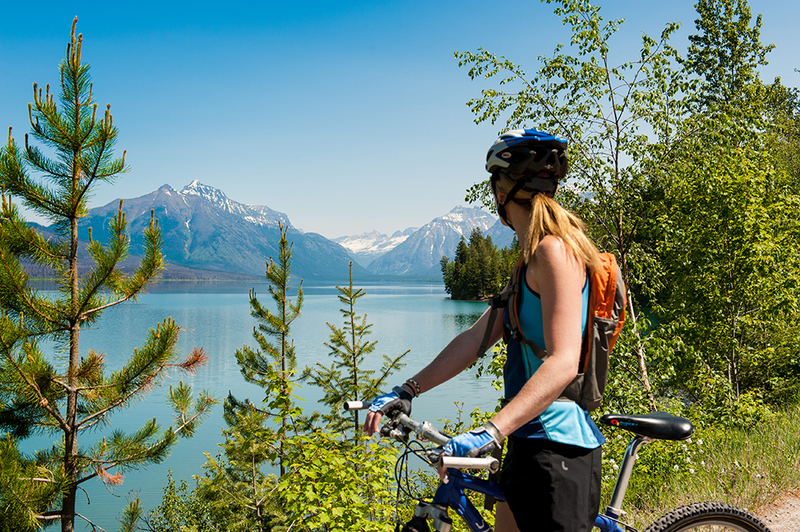 Pedal the pure mountain air and discover a Montana springtime on two wheels. 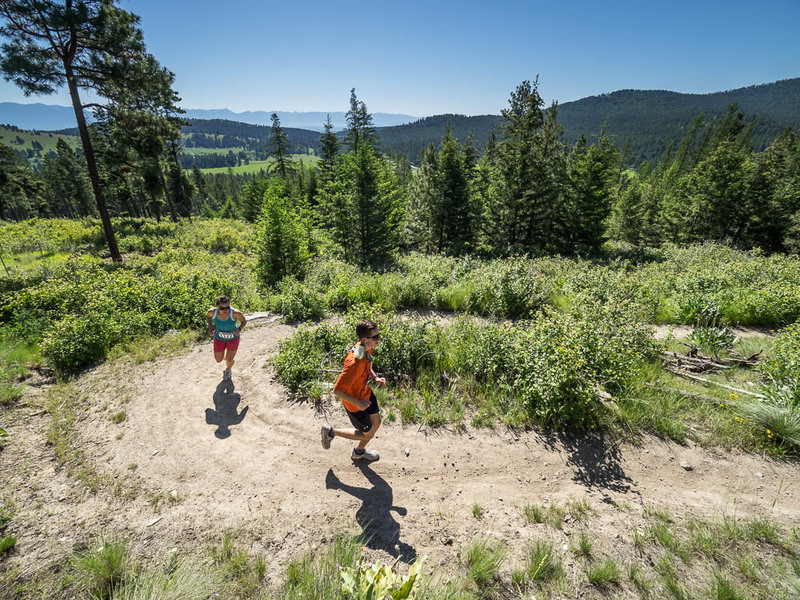 Here are a handful of our favorite trails. Biking this beauty is a pretty epic way to see spring flourish in Glacier National Park, and this season of serenity is the only time you can pedal one of the most scenic roads in America before it opens to vehicular traffic. 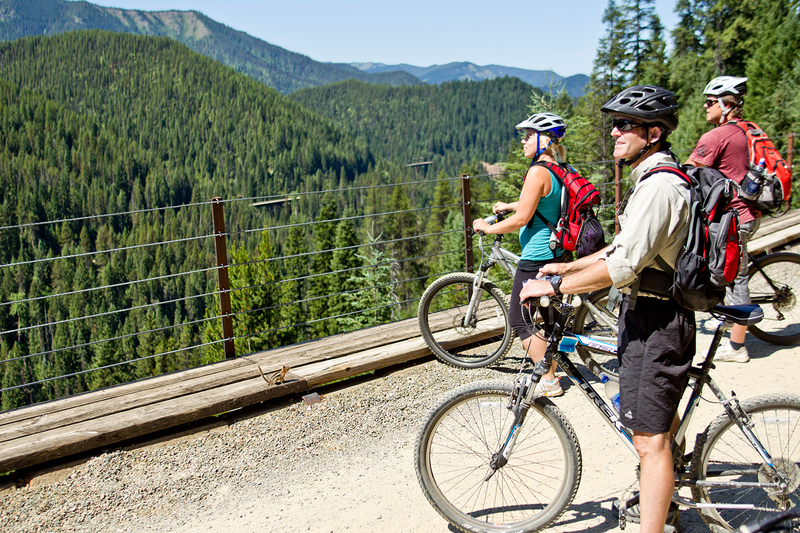 Additionally, biking is also permitted on all roads in the park, plus three park trails. Side trip, anyone? Weekend spring shuttle service begins May 13. 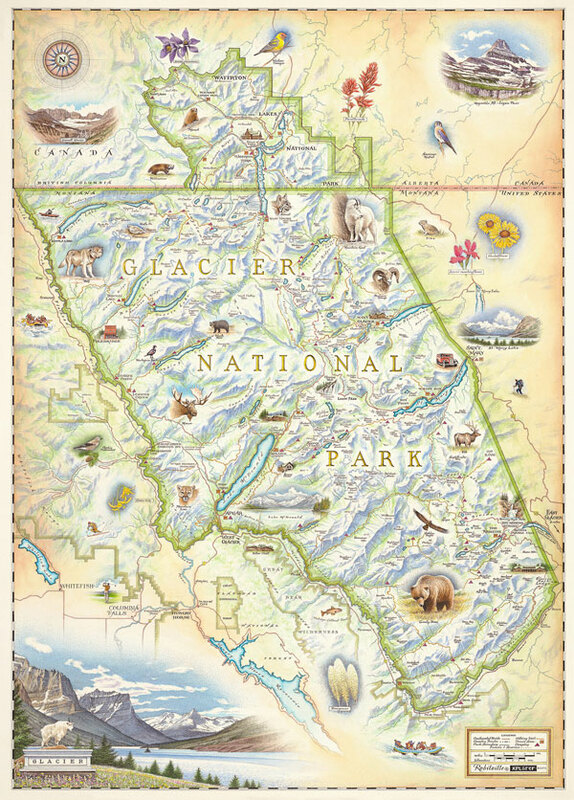 For more information, visit the National Park Service. 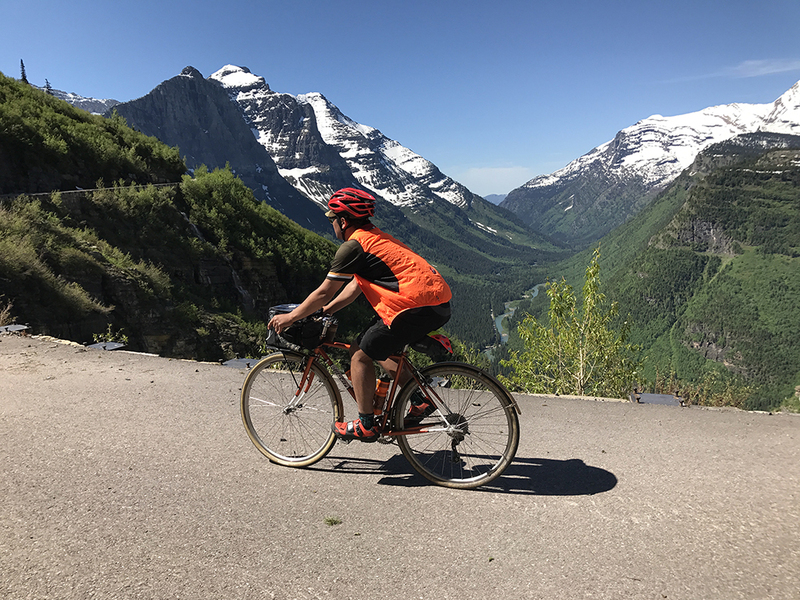 Also, contact our friends at Glacier Guides for bike rentals, guided bike tours and unforgettable custom Glacier National Park adventures. This is one Glacier Getaway for the books. 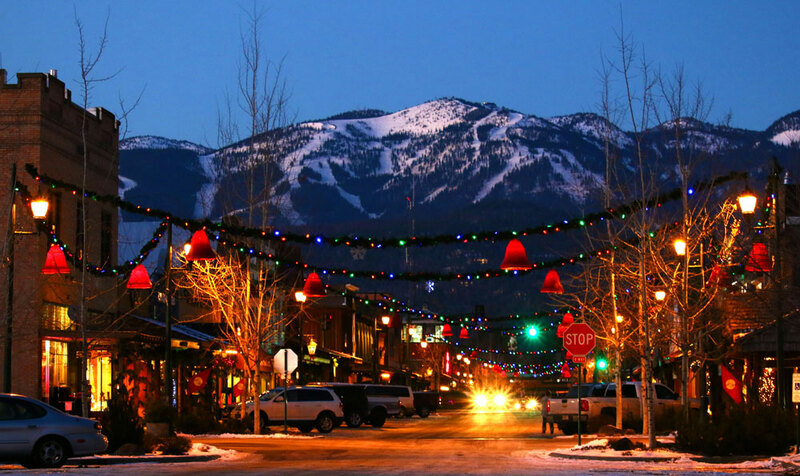 The quintessential mountain town of Whitefish is a mecca of meandering trails. One particular stretch—the paved Whitefish Bike and Pedestrian Trail—follows the Whitefish River through town near Riverside Park. Whitefish is a year-round resort community, and the spring warm-up offers a chance to explore this charmer without the crowds. 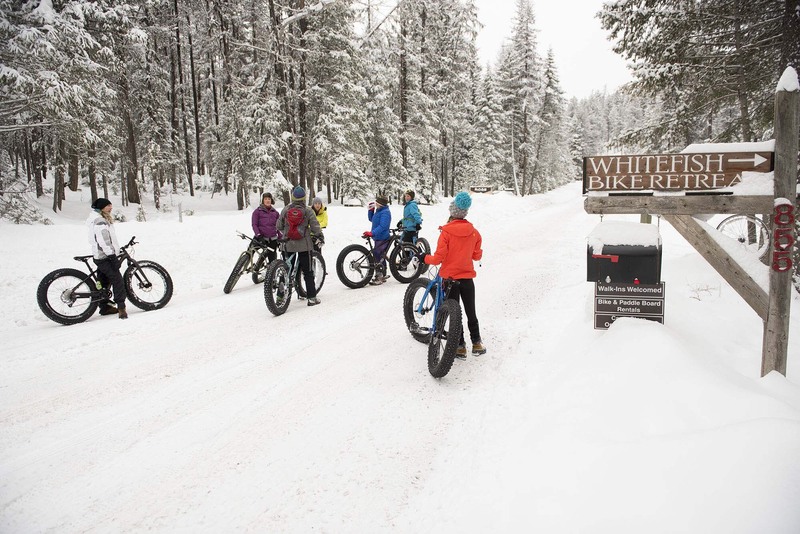 Make it an overnight adventure with Whitefish Bike Retreat, offering trail-side lodging—and a very authentic Montana experience—just west of town. Who doesn’t love a good loop? Add a lake and you’ve got one of the best road rides in Montana. 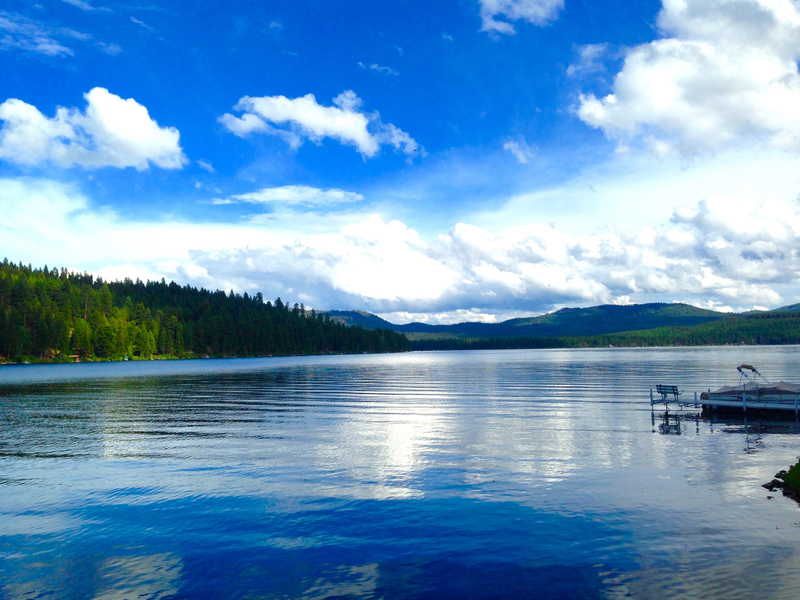 Discover beauty around every bend as you circle Lake Koocanusa between Eureka and Libby. 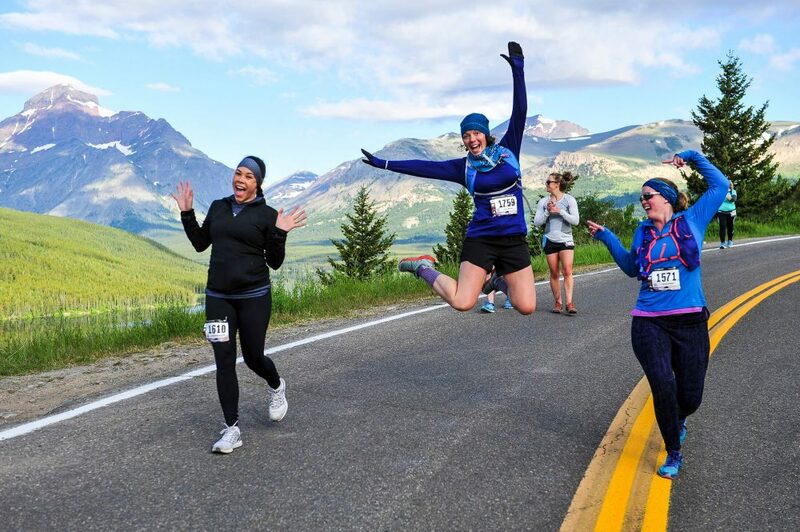 You’ll be hard-pressed to find a flat stretch on this gem, so gear up for the hills. 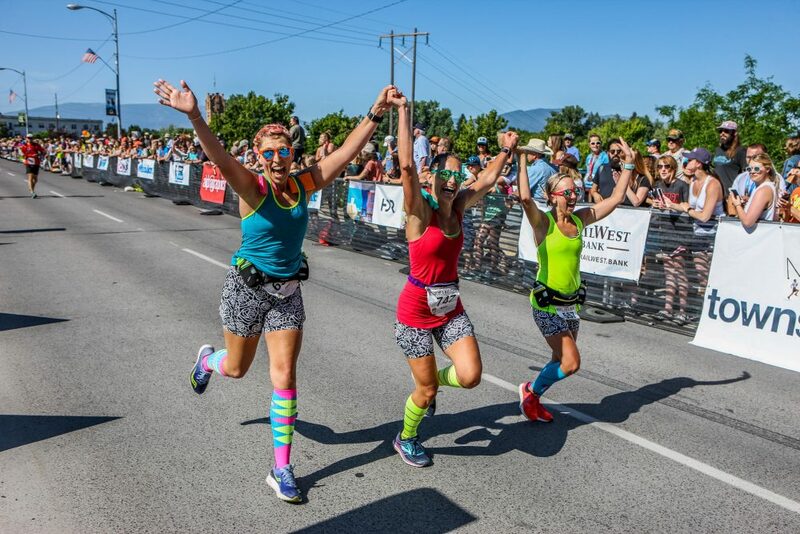 Go the distance on this lake loop and you won’t be disappointed. 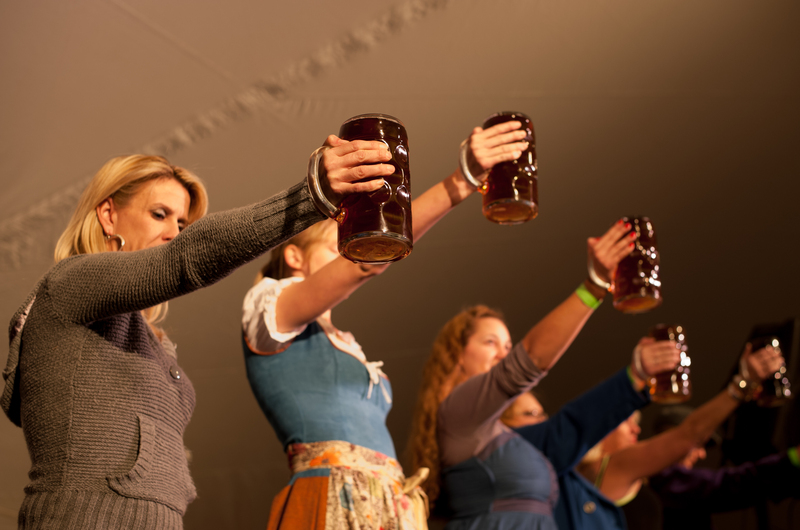 Oh, and there are breweries in both Eureka and Libby, so no matter which town you end up in, you can treat yourself to a handcrafted big-sky brew after a long ride. Missoula via bike is the best way to see this beautiful city. 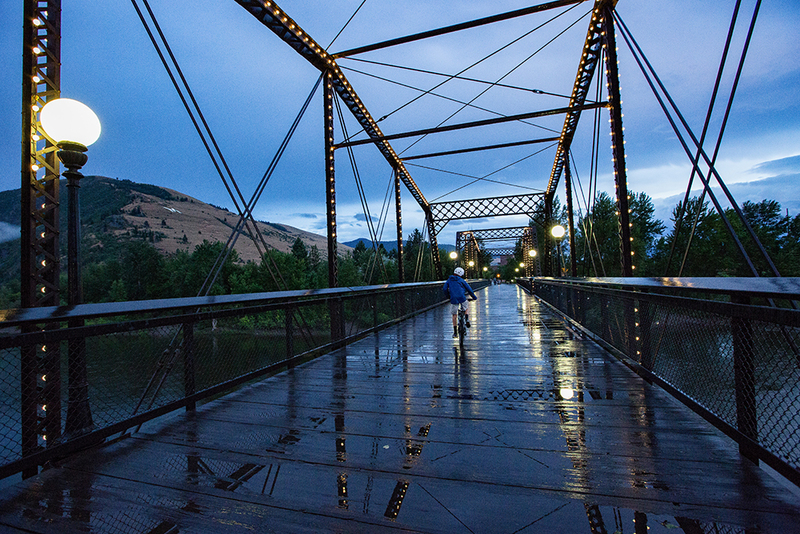 Explore springtime by bike in one of Western Montana’s cultural hot spots—Missoula. Follow the Clark Fork River and wind through downtown before connecting to the Kim Williams Nature Trail. 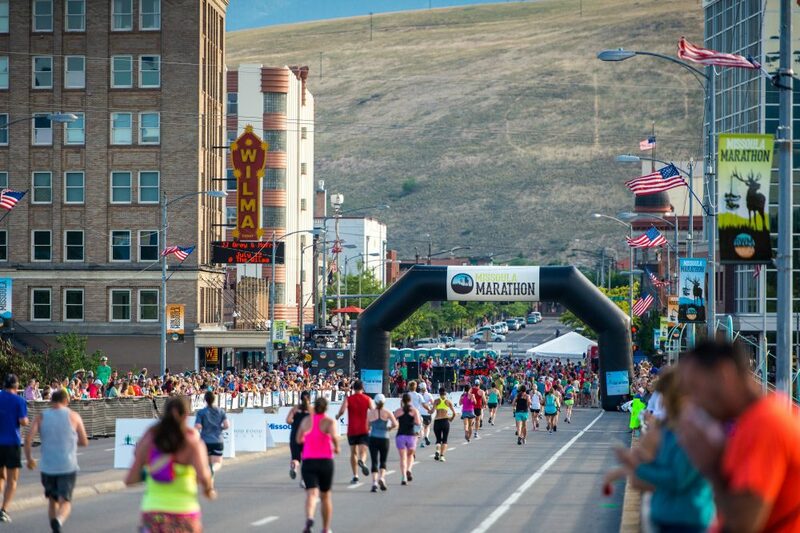 This university town is very pedal friendly, so, when the trail ends, take to the streets and discover everything this Glacier Country getaway community has to offer, including one of the West’s top 10 farmers market, which begins annually in May. 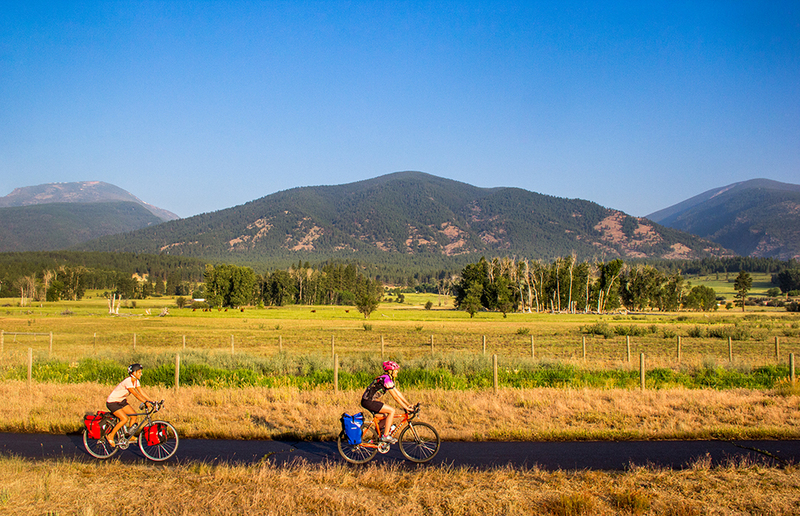 Cycle the sights along the winding Bitterroot River between the jagged peaks of the Bitterroot Mountains and the rolling Sapphire Range. Biking the Bitterroot from Missoula to Hamilton via the paved Bitterroot Trail is a unique and fun way to explore this very scenic valley. 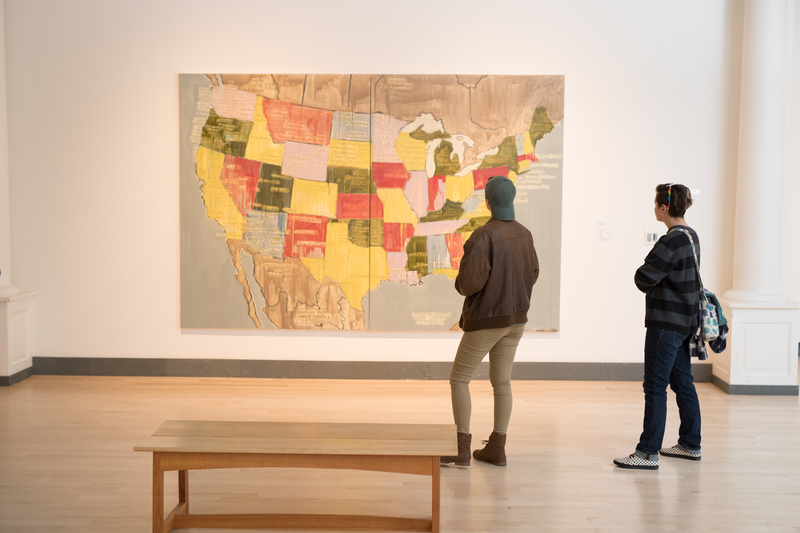 You’ll pass through multiple charming communities in “The Root,” with stops ranging from side trails and fishing spots to eclectic shops, coffee houses, breweries and bakeries. A little farther down the Bitterroot in Darby, get in gear for the Buttercup Loop. The first 7 miles of this trail are paved, but the Sleeping Child Canyon setting makes it well worth the ride. Then it’s time to climb Black Tail Road, enjoying the Bitterroot Valley views along the way. Bonus: En route to the trailhead, there’s a bike shop housed in an old red barn featuring a collection of classic bikes. 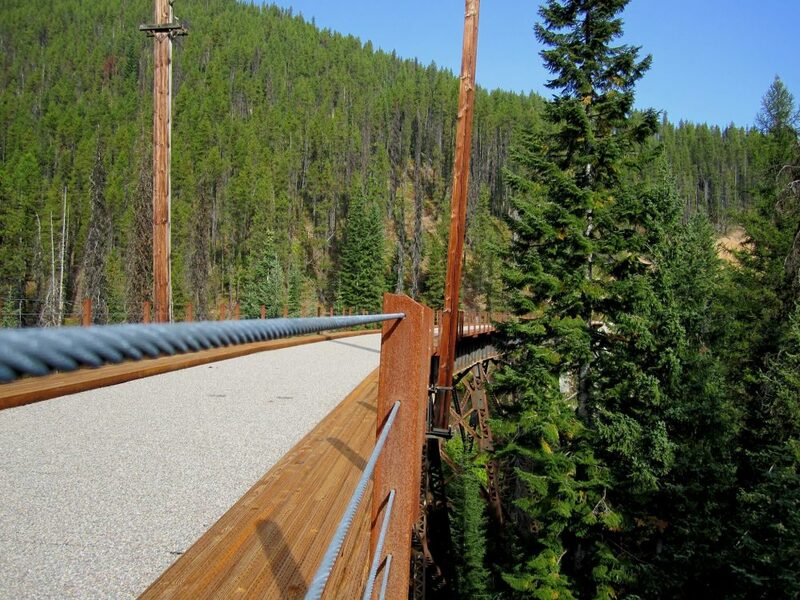 This Rails to Trails “Crown Jewel” is a Western Montana family favorite. It’s one of the most scenic stretches of railroad in the country, and is all downhill to boot. Traverse multiple towering trestles in the Lolo National Forest and burrow under the Bitterroot Mountains in the Taft Tunnel. 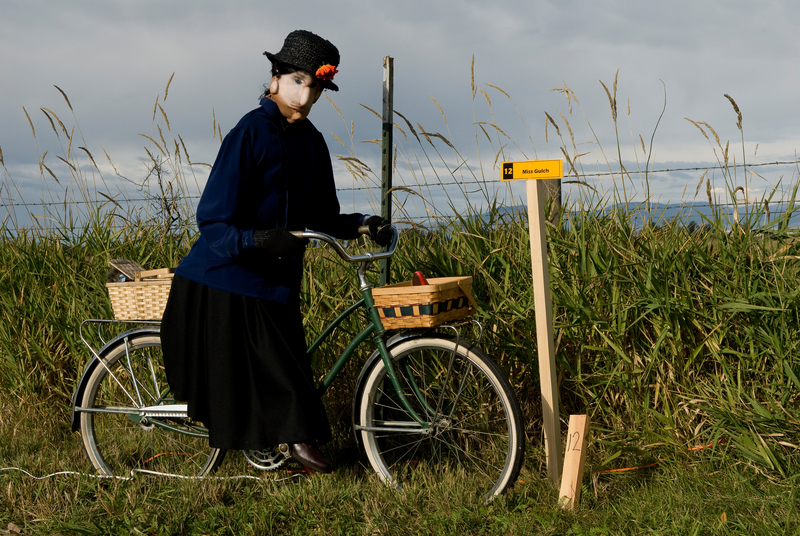 For tickets, reservation dates and bike rental information, visit the official website. Route of the Hiawatha opens May 26. 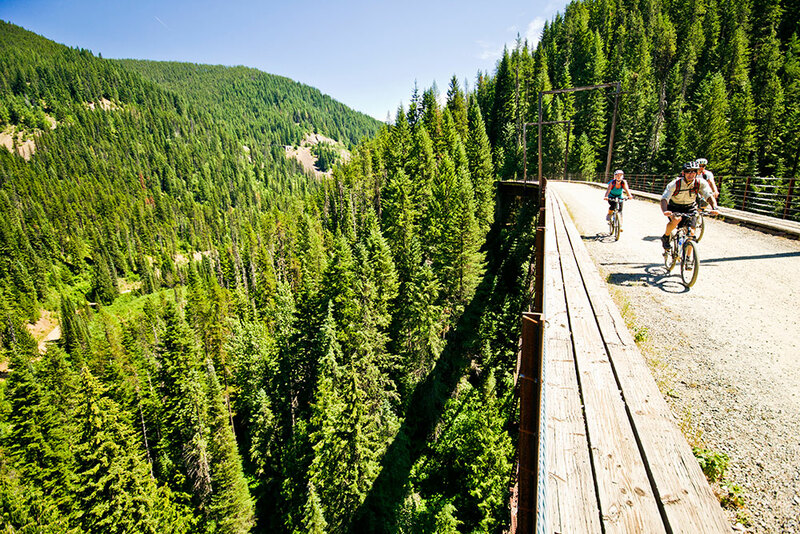 Gear up…this trail is one of Western Montana’s best. Pedal Paradise (literally) to St. Regis on this Sanders Country single-track, navigating lush old-growth forestland and sweeping meadows popping with color—springtime is wildflower season, after all. 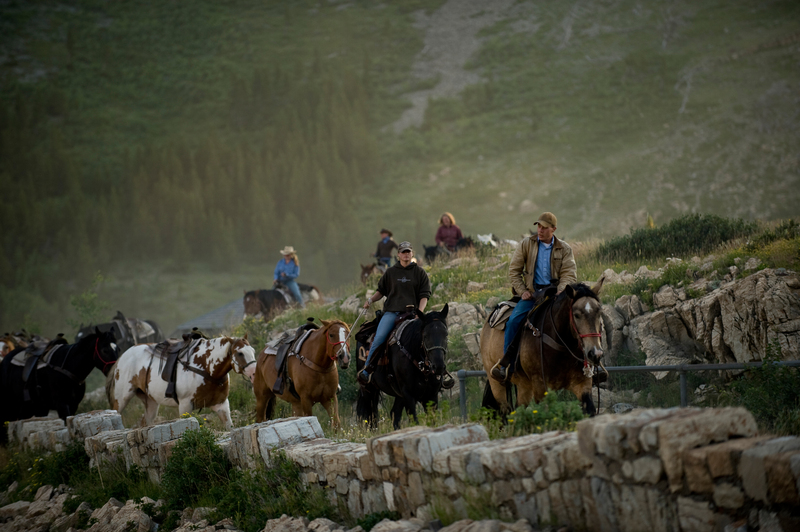 Soak up the solitude in this hidden heaven, and then literally go for a soak at Quinn’s Hot Springs Resort, just a couple miles north of the trailhead—a perfect way to relax after a perfect ride. 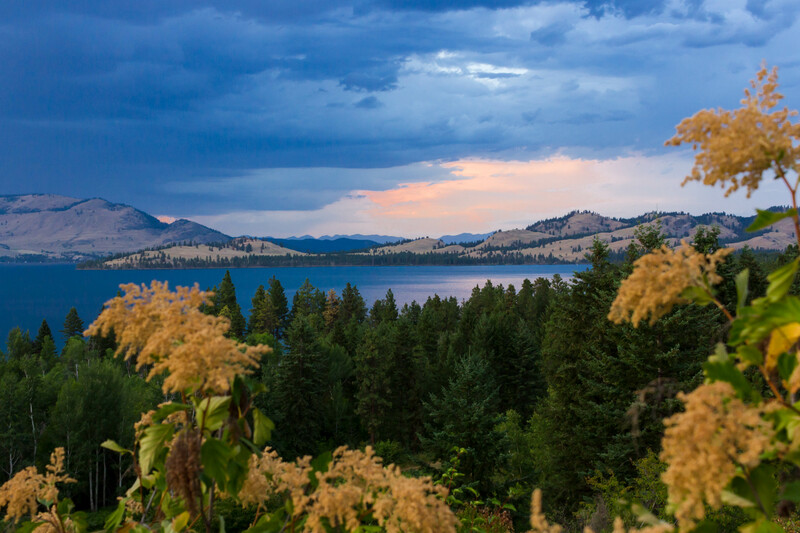 Clip in near Kalispell for Foy Lake fun, and wind through Western Montana wildflower country. 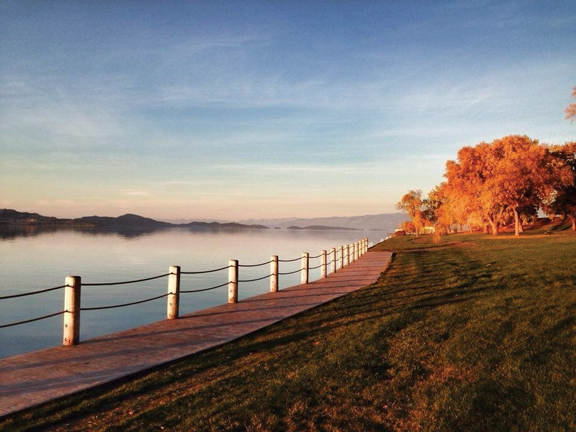 These Herron Park trail routes to Chase and Notch overlooks offer excellent Flathead Valley views. Both of these single-track climbs are moderate, but be prepared for fast and technical descents. 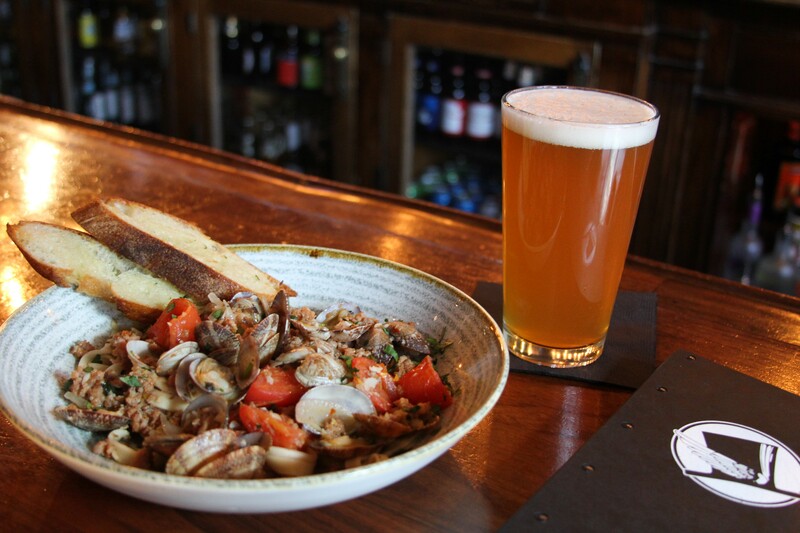 Then, be prepared to enjoy the exceptional food and friendly local vibe in downtown Kalispell. This entry was posted in Bigfork, Bitterroot Valley, Darby, Eureka, Flathead Valley, Getting Around, Glacier National Park, Hamilton, Kalispell, Libby, Missoula, Montana, Montana Fun, Outdoor Fun, Paradise, Parks, Seeley-Swan Valley, Spring, St. Regis, Summer, Things To Do, Uncategorized, West Glacier, Whitefish on March 21, 2018 by glaciermt. 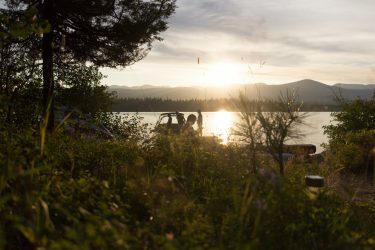 There’s nothing quite like loading up the family and embarking on an epic road trip to make some everlasting memories and there’s no place to make those memories better than Montana. 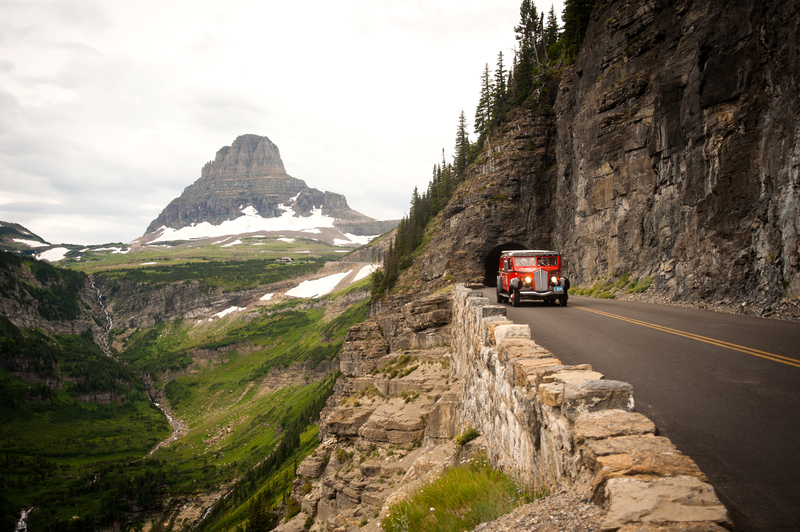 From the Bitterroot Valley to Glacier National Park, Western Montana has enough scenic byways for a lifetime of cruising. 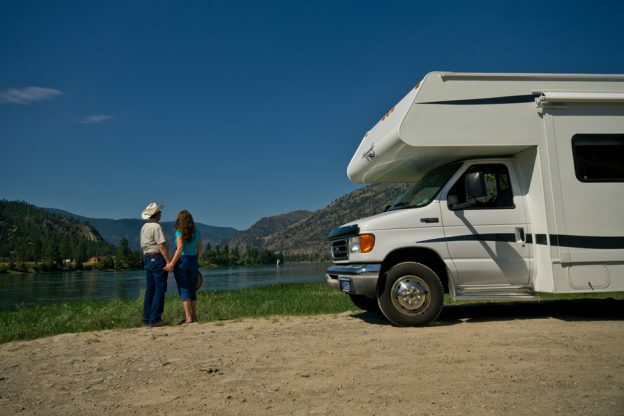 We love road trips and camping so we partnered with Bretz RV & Marine to bring you a spring camping gear giveaway. 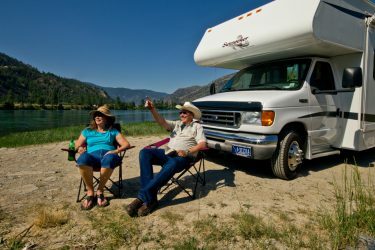 Enter to win, load up your RV, chart a route through our charming small towns and make it a point to pull over and check out these fun and unique roadside attractions. 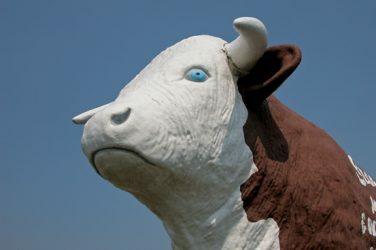 Stoney’s Bull sits at Clearwater Junction and greets travelers along Highways 200 and 93. 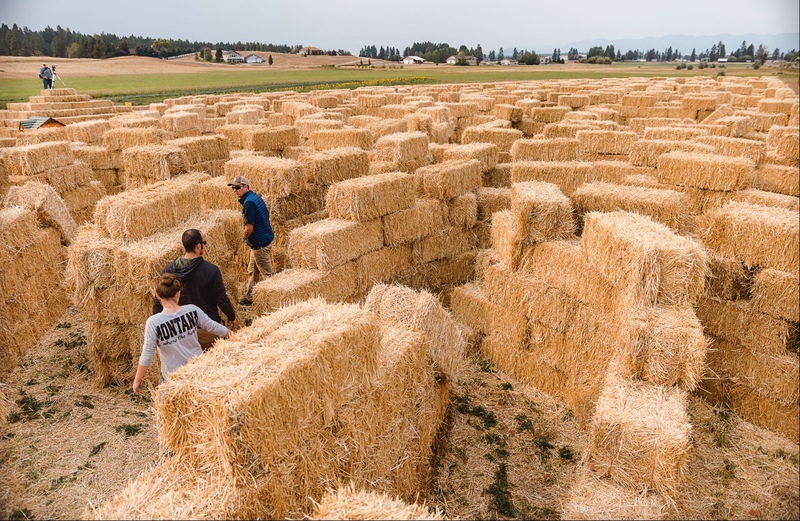 Along Highway 200 at Clearwater Junction, you’ll find a 15-foot-high, 18-foot-long Hereford steer. 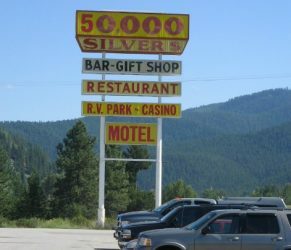 Stop in St. Regis to visit the infamous 50,000 Silver $ Bar, stay for the burgers, shakes and souvenirs. 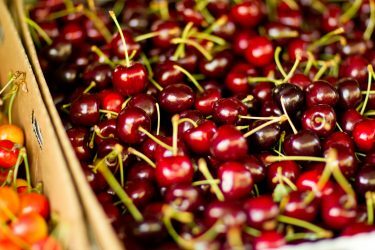 At 3,000 feet above sea level, Flathead Lake has the perfect growing climate for cherries. Make your way around the largest freshwater lake west of the Mississippi to see the orchards, and be sure to stop at a roadside stand for a taste of this prized fruit. 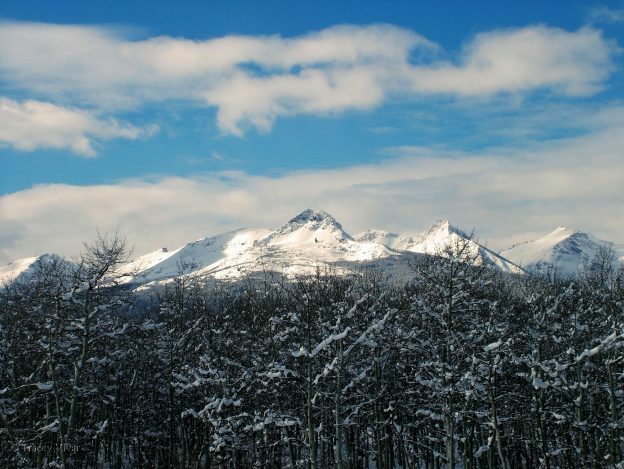 When you’re done exploring Glacier National Park take the kids to the Amazing Fun Center in West Glacier. 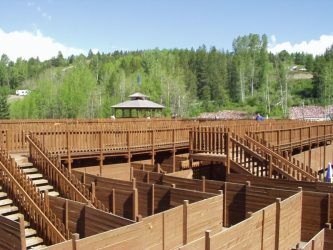 With a 1.5-mile maze, go karts, bumper boats and mini golf, you won’t leave without being at least a little a-MAZE-d.
With easy water access, a walk-up burger joint (Bay Burgers, right on the lake!) and ice cream shops (try a blue-goo swirl cone at The Ice Cream Place), your family will fall in love with this little lake town. 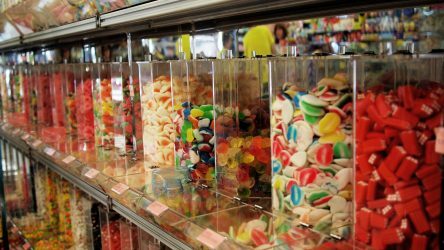 What road trip is complete without a stop at an old-fashioned candy store? 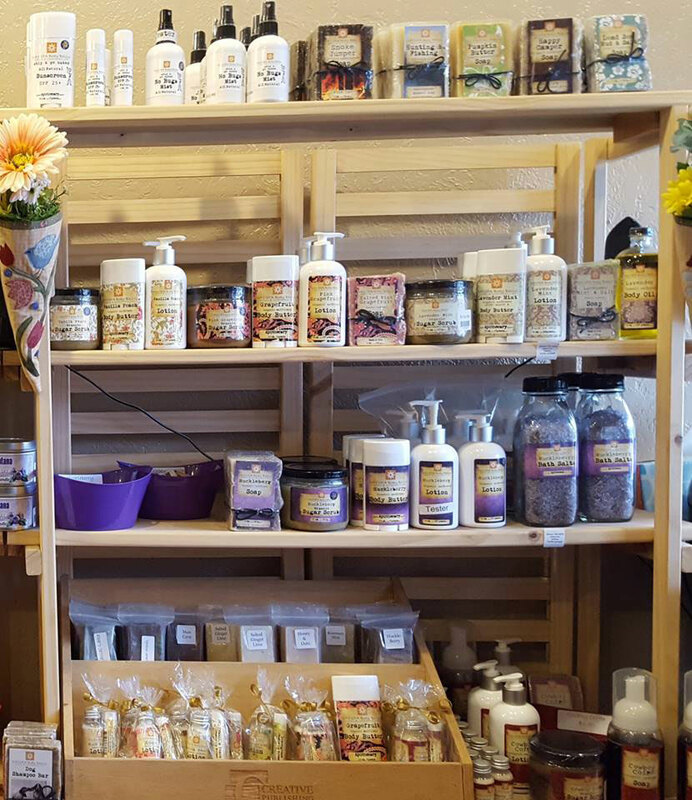 Darby, Montana’s Old West Candy Store is the perfect spot to satisfy your sweet tooth. Don’t miss out on the huckleberry options! 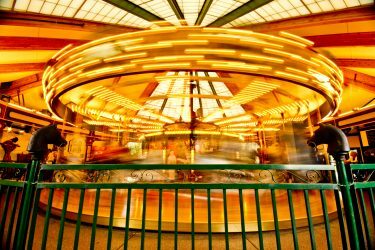 Stop in Missoula to ride one of the fastest carousels in the West. If you’re there on the weekend, be sure to check out one of several farmers markets on Higgins Avenue. 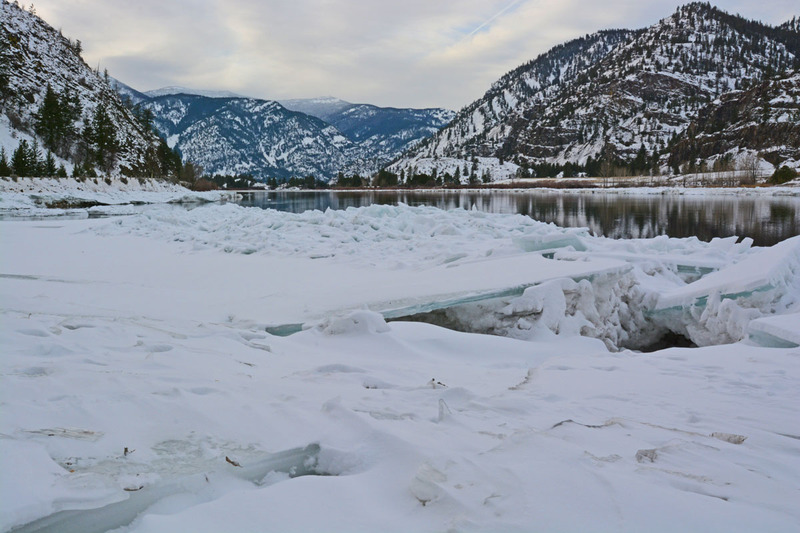 Cool off with a scenic float down the Clark Fork River afterwards. 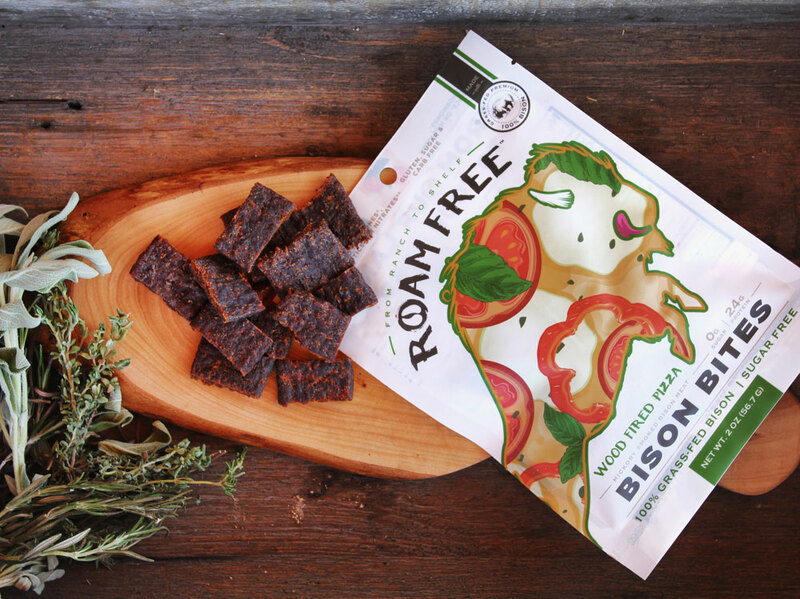 We’ve partnered with Bretz RV & Marine of Missoula to help you on your journey to find these Western Montana roadside gems. 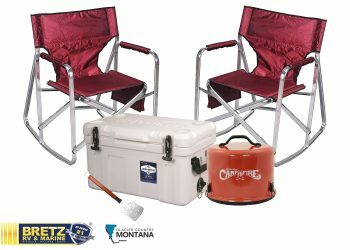 Store gear, grill and lounge with this custom camping set perfect for your next adventure. This contest has closed. 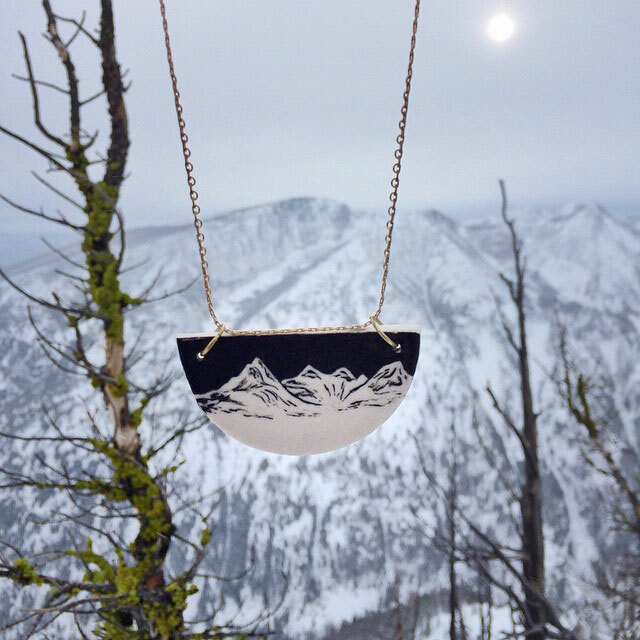 Visit glaciermt.com for more giveaway opportunities. This entry was posted in Autumn, Bitterroot Valley, Darby, Family Fun, Flathead Valley, Getting Around, Montana, Montana Fun, Outdoor Fun, Seeley Lake, Seeley-Swan Valley, Spring, St. Regis, Stay, Summer, Things To Do, Uncategorized, vacation, Water Fun, West Glacier, Winter Fun on March 20, 2017 by glaciermt.